it seems like she would. cast by their own isolation. 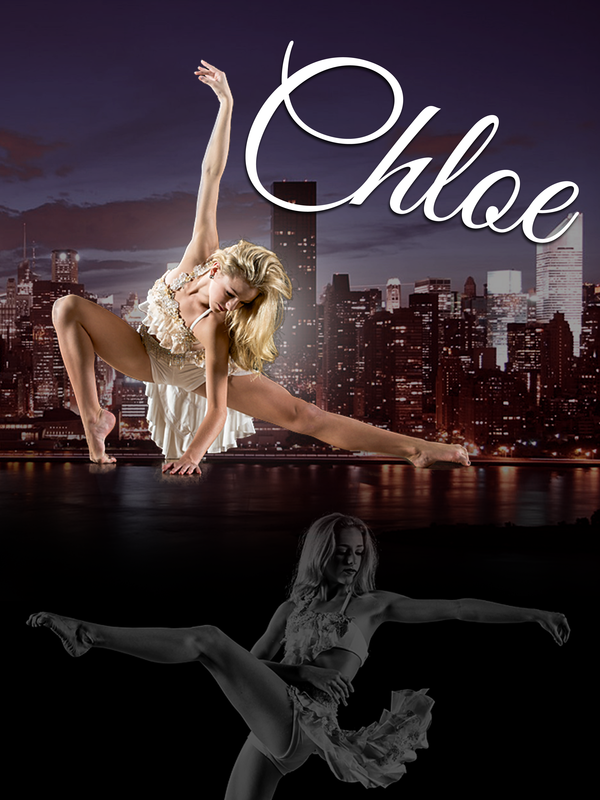 Interview with Chloe Lukasiak from Dance Moms! I have been a fan of the Lifetime reality show Dance Moms since its first season. Although I fell in love with all the kids, Chloe Lukasiak was always my favorite. I found her sweet personality and her inner strength in the face of adversity endearing. So needless to say, I was thrilled to get the chance to interview her! For this short interview, I decided to focus on something other than the dance world or the tv show that made her famous. Since I am an author and Chloe recently started her own book club, I decided to focus on our mutual love for reading. I hope you will enjoy this little interview! Q: Since I have been following Dance Moms since season one, I know that you love to read. What are some of your favorite books at the moment? A: I love The Hunger Games, Divergent and The Maze Runner series. Q: If you had to pick one book that has impacted your life over the years, which book would you pick? Why is that book so unforgettable to you? A: The Outsiders because, well, I don’t want to give away the end to someone who hasn’t read it!!! Q: Many avid readers also like to write. I know that you are extremely busy, but do you ever write for fun? If so, what do you like to write? A: I like to keep a journal. I used to write more when I was younger and I had more time. Q: Do you have any “book buddies” from school or dance who often read the same books as you? A: I like recommending books to my friends! Q: I have read that you tend to like fantasy and sci-fi books. If you could live in a fantasy world out of any book, what world would you choose and why? Is there a character in a book you would love to be for a day? A: I would love to be Katniss Everdeen for a day, but I don’t want to play the Hunger Games. Q: I know you are very close to your mom. Does she like to read too? Do you ever read the same books or recommend books to each other? A: My mom loves to read. I think as I am getting older now, we can recommend more books to each other. Q: Does your little sister, Clara, share your love for books? If so, what are some of her favorites? A: Yes, absolutely! She JUST read “Green Eggs and Ham” by herself for the first time! It was the first book I ever read, so it was kinda cool. Q: Have you read any books lately that you would love to see made into movies? Do you generally like movies based on books? A: I think the books are always better then the movies! When I was younger, I always wanted to see “The Sisters Grimm” series get made into a movie. Q: I was very excited to hear that you have your own book club now! Would you like to share a bit about the club? A: I am so excited about my book club! Each month, I am recommending a book on my YouTube channel and on my other social media. Then, at the end of the month, I am hosting a live event on my channel to discuss the book. My channel is www.Youtube.com/33troijka. Well, that is the end of today’s interview, but I would like to extend a heartfelt “thank you” to Chloe and her promotional team for making this interview possible! I am excited to see what the future holds for this beautiful and intelligent young lady! If you would like to follow Chloe Lukasiak on social media, here are links to her Facebook, Twitter and Instagram accounts.